Live life to the fullest by following your heart and act as you feel! 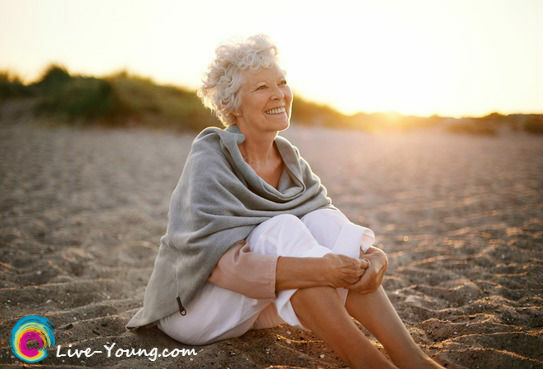 Age is only a number…it’s your joyful attitude that can slow the aging clock. When is the last time you let curiosity open up a new avenue? Act Young with youthful wonderment. Enjoy the children in your life. Look for opportunities in your community at the library, schools or daycare to be a mentor or storyteller to children. Organizations that benefit children would welcome volunteers! Eat Healthy and look young. Select daily an abundance of vegetables and fruits from all the colors of the rainbow. Drink plenty of water, eat 6 small meals and take a daily vitamin and mineral supplement. Avoid skipping meals which causes the blood glucose levels to drop and may increase the risk to dementia. Stay Well and live young. Be proactive about your health through the years by being in tune with your body. Identify health risks by working with your doctor and get regular wellness check-ups. Laugh Daily and live to 100! Humor and optimism are the most common traits for people who live to be 100 years or older. Laughing stimulates the immune system and protects your body from disease. Move It or lose it. Physical activity is your fountain of youth. The best types of activities as you age are: endurance walking or swimming, flexibility and balance with yoga and stretching and strength training for healthy bones. Be Social and stay connected. People who are a part of a community and have a network of friends are happier. Being socially active lowers your risk for diseases as you age. Join your friends or meet new people at a local club, community center, church or organization with monthly activities. Lifelong Learner for mental sharpness. Continue to learn throughout your life to reduce your risk for dementia. Join a bridge club, do word games, play music, read books and take a course online or at the local community college. Help Others and volunteer. Stay engaged with life! Look for organizations that help children, animals or the less fortunate and give of your time and talents. What a better reward than to help better your community. How many of these tips are you currently using? I’d love to hear from you! My blog writings focus on actionable information about anti-aging, longevity, eating healthy and healing your body naturally from the inside out with nutrition so you can live young every day! I’m a Midwest gal who began on a journey to live a healthier life way back when I was in college. Now just like all of you, the twists and turns of my life have led me to where I am today. Passionate about healthy living, community and social media, I invite you to Live Young with me! Signs of Aging: Can You Naturally Reverse? Latest blog post: #PSL Ending the Pumpkin Spice Latte Addiction?